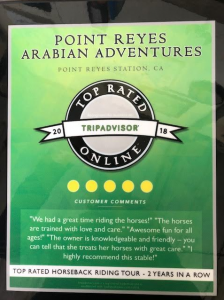 Point Reyes Arabian Adventures is an Equestrian Service located in Point Reyes Station, CA. 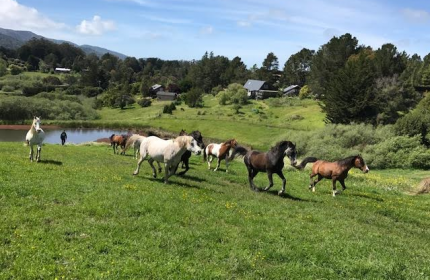 We ride on the ranch which is half a mile north of Point Reyes Station looking over Tomales Bay and Point Reyes National Seashore. We also adventure out to local parks with beautiful forests and views of San Fransisco Bay. 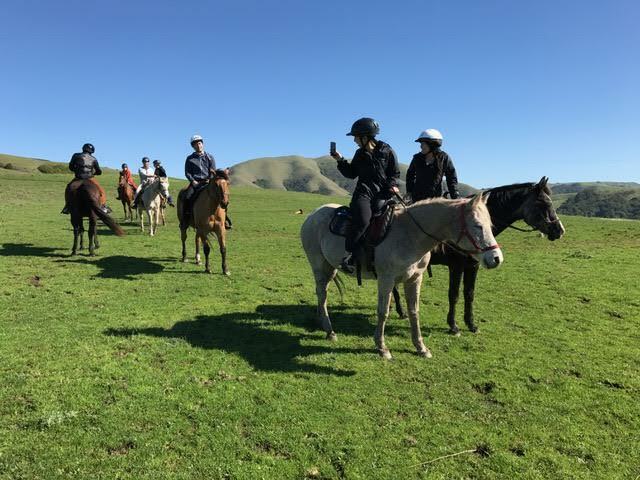 Our services include Horseback Riding, Horse Riding Lessons, Horse Trail Rides, Horse Rental, Horse Riding, Children’s Horse Riding, Horse Rental Service, and Horseback Riding Service. All horses are very experienced and well trained by Susan, who is a professional trainer and instructor. If you are looking for the ultimate horseback experience then call us today to inquire about our services. 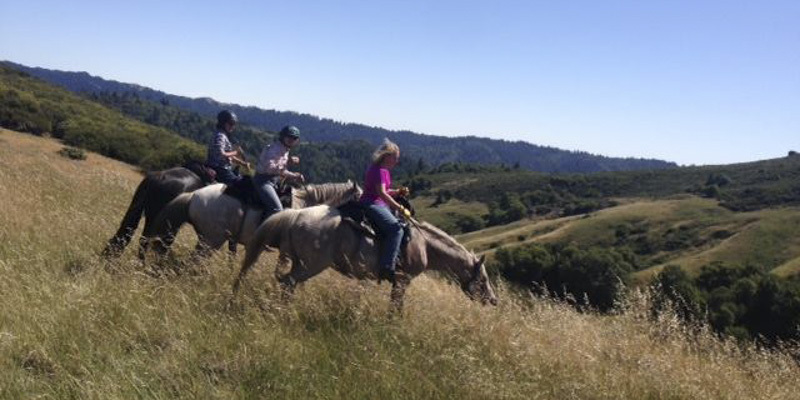 All trail rides are customized to the riders experience with instruction as needed. Please navigate to other pages on our website to learn more about us. We bring our services to Point Reyes Station and the surrounding areas. Cell phone signal is poor in Point Reyes area.